Darnell Carr-Newsum’s focus has long been on people. As a marketer, this class of 1973 graduate has used her skills not only to understand what makes humans tick, but also how best to persuade them. She has used those same skills to advocate for young people on the autism spectrum, inspired by her own daughter’s experiences. Carr-Newsum came to Kingswood as a seventh grader from Detroit Public Schools. “I think my teachers saw something special in me,” she says. “I was a very good student and they felt that I would benefit from a more challenging academic environment.” Her parents and teachers “put their heads together and thought it made sense for me to apply to Kingswood,” she says. After graduation, Carr-Newsum enrolled at the University of Michigan in Ann Arbor, where she earned her undergraduate degree in elementary education. Although she had planned on becoming a teacher, the mother of a Kingswood classmate, Lois Bryant, offered her a position as a junior analyst at a market research firm in Detroit, launching her career and an interest in the bigger picture of how data influences business. “While I enjoyed the technical aspects of the work, I found myself more interested in how the research was put into practice,” Carr-Newsum says. “Understanding how research helped solve business problems helped propel me to business school.” She enrolled in the University of Michigan’s Ross School of Business in 1981, where she earned her MBA with a concentration in marketing. With her degree in hand, Carr-Newsum moved to New York where she soon landed a position with The New York Times. There, she says, “I had the opportunity to move across several marketing assignments including research, promotion, marketing planning and sales.” In addition, she conducted research on what the future Times reader would look like and what types of content readers value most. Following her tenure at the Times, Carr-Newsum launched her own consulting firm, The Newsum Group, before joining GfK MRI, one of the country’s leading producers of media and consumer research, where she is vice president of sales and marketing. Looking back over her career, Carr-Newsum says she is most proud of “helping people to realize their strengths. I have been a good coach and mentor to many.” And she has worked hard to improve and expand communication pathways, giving voice to everyone and cultivating an active, engaged team. That ability to rally people together has served Carr-Newsum well as an advocate for children and young people with autism spectrum disorders. “My goal is to encourage more acceptance, inclusion and engagement – key components of a good marketing campaign,” she says. 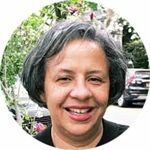 Currently, she serves as a board member for a preschool in New York that provides support and training to help children on the spectrum find success in the classroom – it is an inclusion model that not only supports children with autism, but also encourages all children to be more accepting and to understand different learning styles. This approach can translate into success beyond school, into the workforce and greater independence as adults. With her experience as a communicator and mentor, there is no doubt Darnell Carr-Newsum will continue to inspire positive change, no matter where she applies her talents.